GOVERNMENT has threatened to either enforce higher taxes on imported steel or completely ban imports to protect the local industry. 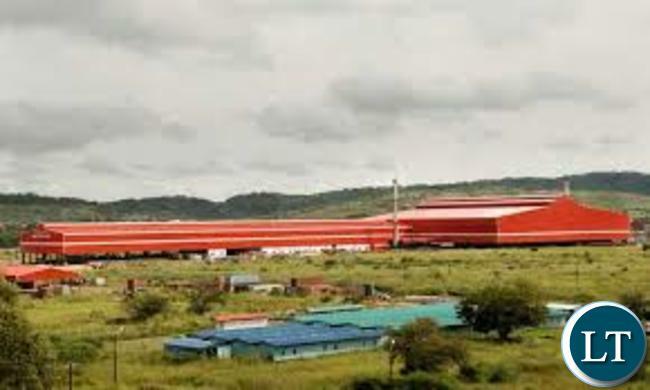 Special assistant to the President for project monitoring and implementation Lucky Mulusa said higher taxes on imported steel may be necessitated to protect the local industry. Mr Mulusa said this shortly after touring the Kafue Steel plant which has reduced production from 12,500 tonnes a month to about 3,000 tonnes due to challenges such as power outages and scarcity of market. “We need to identify all products being imported into the country so that locally-produced products are protected,” he said. Mr Mulusa said protecting local products can help address the depreciation of the Kwacha, among other economic benefits. He advised Kafue Steel Company, which is currently consuming 25 megawatts (MW) of power, to set up its own power generation plant. “With the heat being generated at this plant, the company can generate its own power,” Mr Mulusa said. Kafue Steel Company chairperson Bright Chunga said it is cheaper to buy steel produced in Zambia instead of importing the material. “Buying steel from our company will save the economy because people will be paying in Kwacha as opposed to importing and paying in United States dollars,” Dr Chunga said. He said importation of products is no guarantee that the product is of superior quality. “South Africa has bought steel from our plant because our steel is of high quality,” Dr Chunga said. And Dr Chunga said the lack of ready market coupled with load shedding has forced the plant to lay off 200 workers. He also appealed to Government to take action and protect the industry from collapse. Ok Now if they buy a generator there cost of the steel will rise three fold and they are already facing a problem with ready market. that will out price the steel. As of laying off workers due to low production. I don’t think they can produce any more with the limited number of hours of production. Steel mills can not be stalled as at some point when the molten product is in pipe line. So they will only produce at a certain time with definite power supply time. they cant keep the workers for non productive time. cant you PF thugs get it. Hundreds on million of dollars of equipment at Kapiri Glass had to be thrown away because the equipment was shut down with liquid hot glass. Owe shetani pushi maka, power deficit is all over Southern Africa except Mozambique. Why do you have to blame the government on everything including the smell of your fart? Dangote built his on power plant and does not rely on Zesco. Grow up and start reasoning like a man and normal him a being. You see, I always say these PF ministers are all hopeless. Up to now they don’t know what is being imported?? What kind of a government is this where all they think of is stealing leaving anything to come in??? Then you wounder why local industries are failing? These PF theives need to go. Just the other day ka miles sampa was surprised we import eggs and chickens. Pleas pipo let’s get rid of this cancer that is PF. This is truelly a zoo of GRZ with lungu even increasing the numbers, what do they do all day when no one knows what is being imported?? TAKECARE GOVT,THERE IS THIS SYSTEM OF COMPANIES FIGHTING TO BLOCK IMPORTS USING GOVT & ONCE DONE PRICES GO UP FIVE FOLD WHICH IS VERY UNFAIR FOR ZAMBIANS.THIS HAS BEEN SEEN BY COOKING OIL,FLOUR, WHICH WEHT UP USING SAME FORMULAR.GOVT SHOULD CAREFUL PEOPLE ON THE GROUND ARE BITTER ABOUT IT.COOKING OIL NOW IS K20 PER BOTTLE OF 750ml FROM K8. TELL THESE PEOPLE & WARN THEM ABOUT THIS & PROMISE TO OPEN IMPORTS IF PRICES WENT UP. The problem of imports affecting local manufacture, and prices rising the sooner imports are banned, is an indication of an imperfect system. It shows that there is a mismatch between import tarrif barriers and, local manufacture capacity and costing. Exactly, cost of production in particular. That is the job of government to iron out these issues so we are competitive. Have you even noticed that these manufacturers here are selling their products in Dollars? They are not importing anything but want to cushion themselves from the trials and tribulations my country is going through by hiding behind a foreign currency. Let local producers compete with local manufacturers for the benefit of the consumer. What Mulusa does not know is that some of the imported steel is actually manufactured by Kafue Steel, exported to RSA and imported back into Zambia. ….the govt has an idea as to who is importing similar steel being manufactured locally….the reporter could have made an effort to interview the importers so we hear their side of the story as well…. ALL ARE POINTING TO ONE POINT MONITORING,EVALUATION,CORRUPTION BE IN GOVT,MINES,OTHER COMP. WITH GOOD INTELLEGENCY SYSTEM ITS NOTHING. UK,USA,GERMANY,FRANCE ETC ARE DEVELOPED BCOZ OF STRONG INTELLIGENCE. CHANGE INTELLIGENCY APPROACH CORRUPTION AND CAPITAL FRIEGHT WILL GO, LATE REPORTING FOR WORK WILL STOP,POLICEMEN WILL CHANGE WITHIN MINUTES.